Just got it in for our son and daughter in law for Christmas. It is really beautiful and an unbelievable price. Arrived timely, well wrapped, no broken glass on frame. 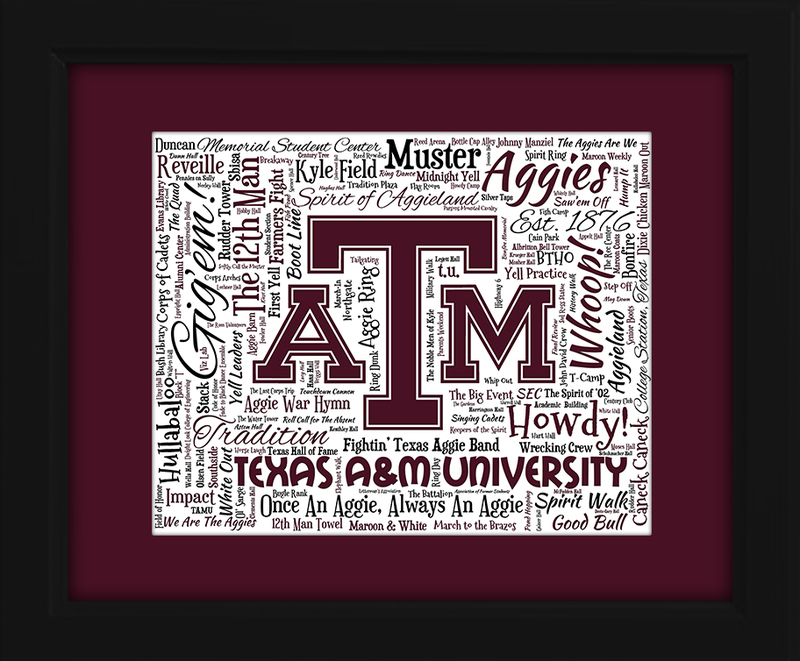 So I ordered a Univ of TX for another family member. Thanks for a quality product. My boss loved his! It was for Christmas but I had it delivered to the office so he got it early. AMAZING gift idea. Exceptional quality. Top notch customer service. Will definitely recommend to friends and family!!!! Thank you for making me & my co-workers look good! Received my three today. I was blown away. Can't wait to give them to my family. Thank you for a great gift. 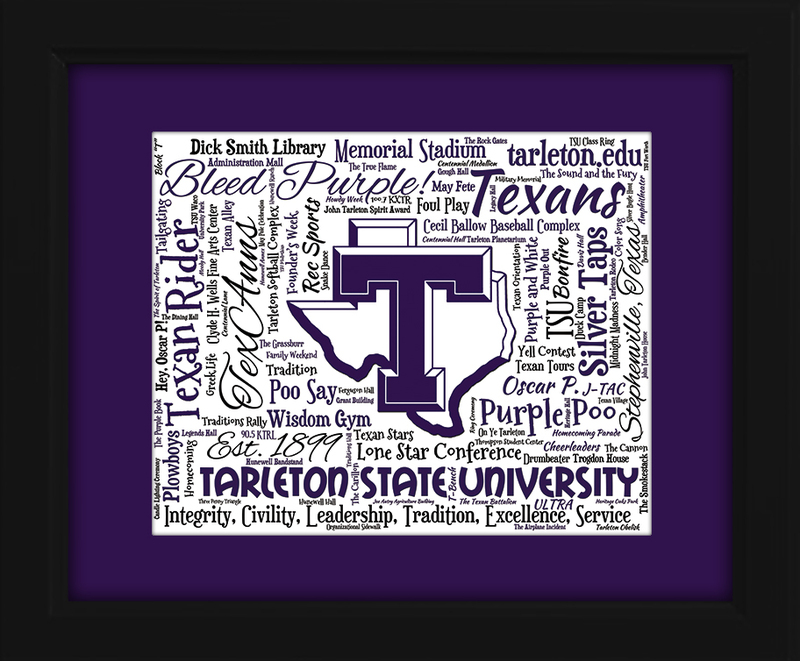 I ordered one for my son as a graduation gift. It was awesome and very professionally done. 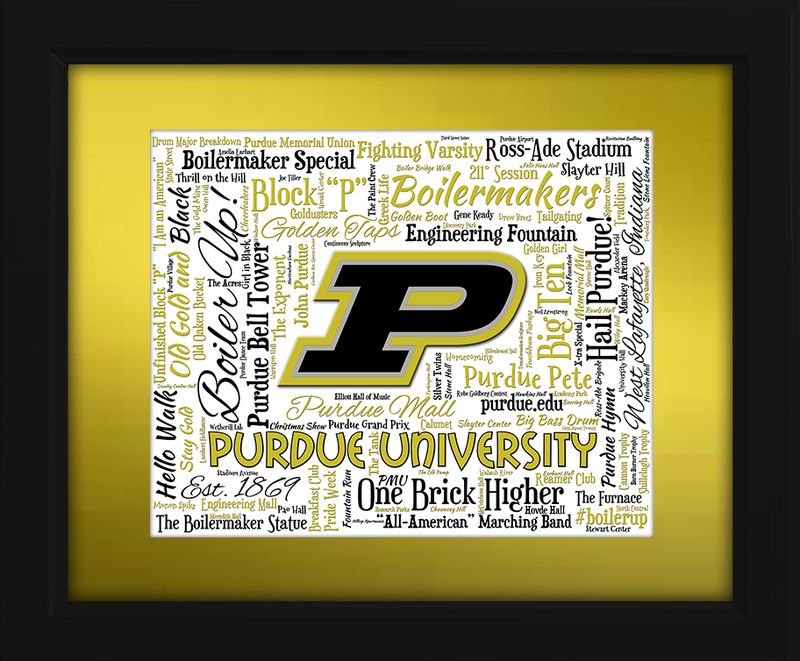 I purchased the Purdue and IU art piece. They are beautiful, and my grandchildren love them. 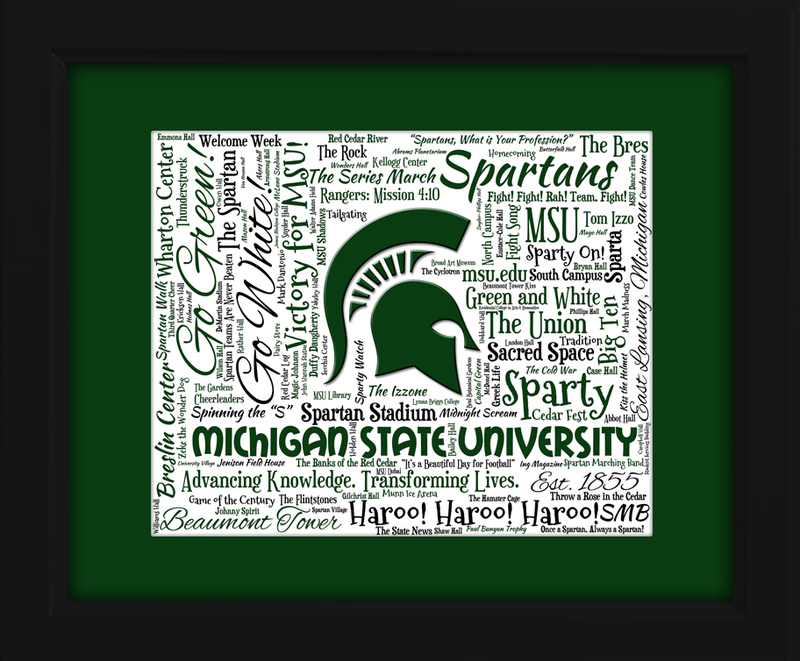 I bought the MSU one and it is beautiful. 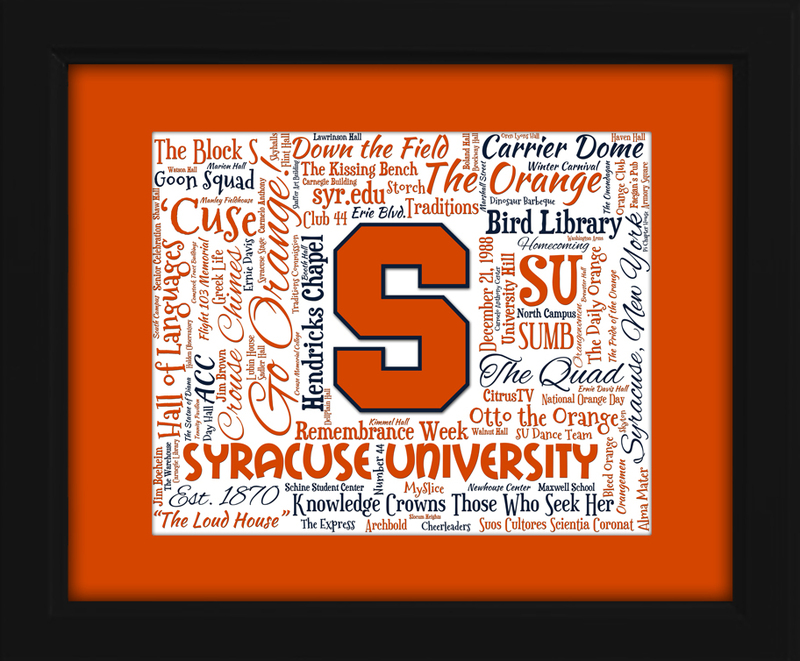 I wanted it for my sons man cave, and he also is an alumni. I couldn't wait and gave it to him early. He loved it! Well worth every penny! 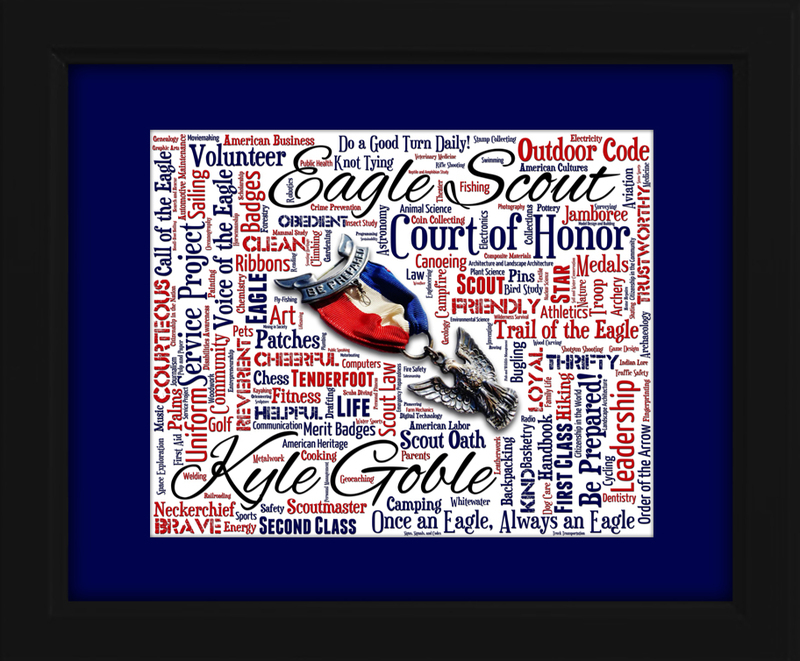 I bought 2 Eagle Scouts for my two sons! They are beautiful and my boys loved them. Very proud mom. 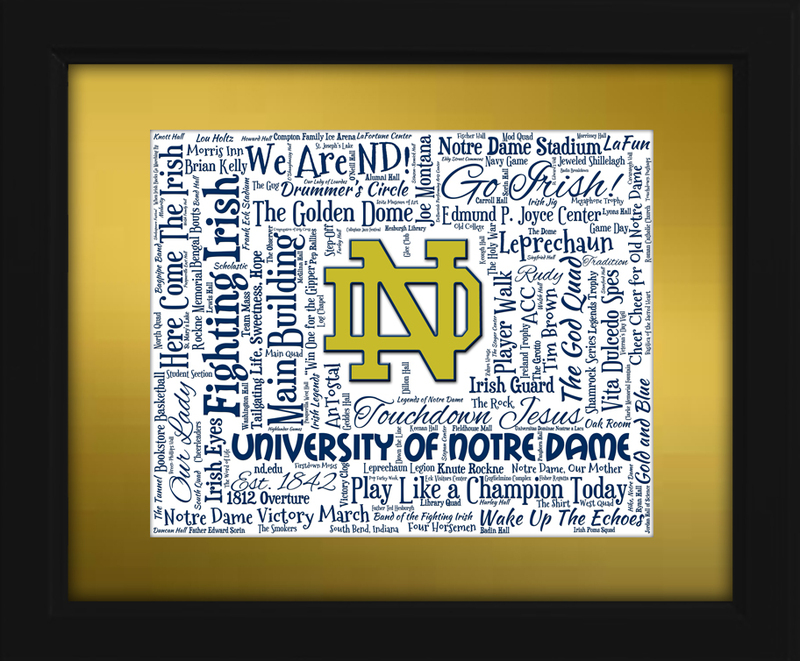 I bought one for my ND decorated guest room! Love it! Also got 3 Indiana University for each of the boys for Christmas gifts and our IU decorated guest room. 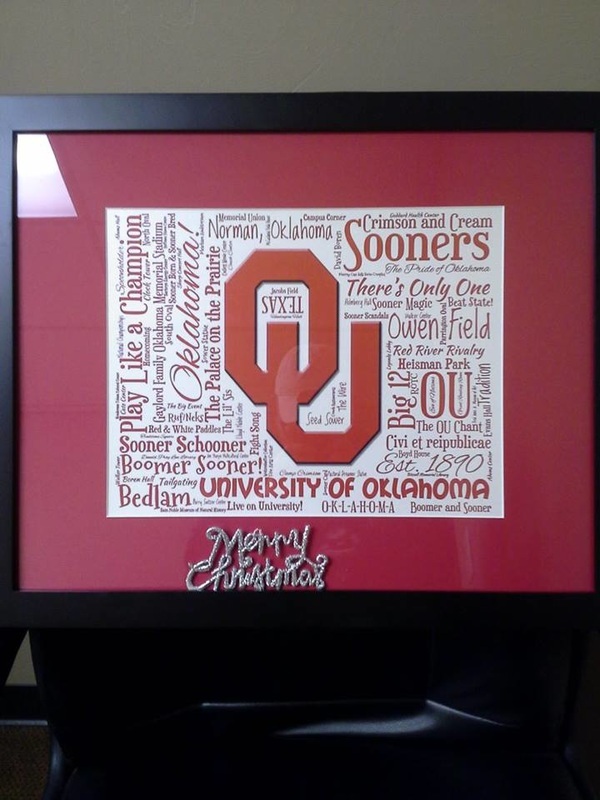 They are all outstanding and make great gifts! The picture doesn't do it justice. It's even better in person! I love mine! !